A fiery AAA cubic zirconia is the “Center of Attention” in this stunning sterling silver ring. The brilliant stone placed in a durable claw setting sparkles on a wide chiseled band encrusted with glittering baguettes. 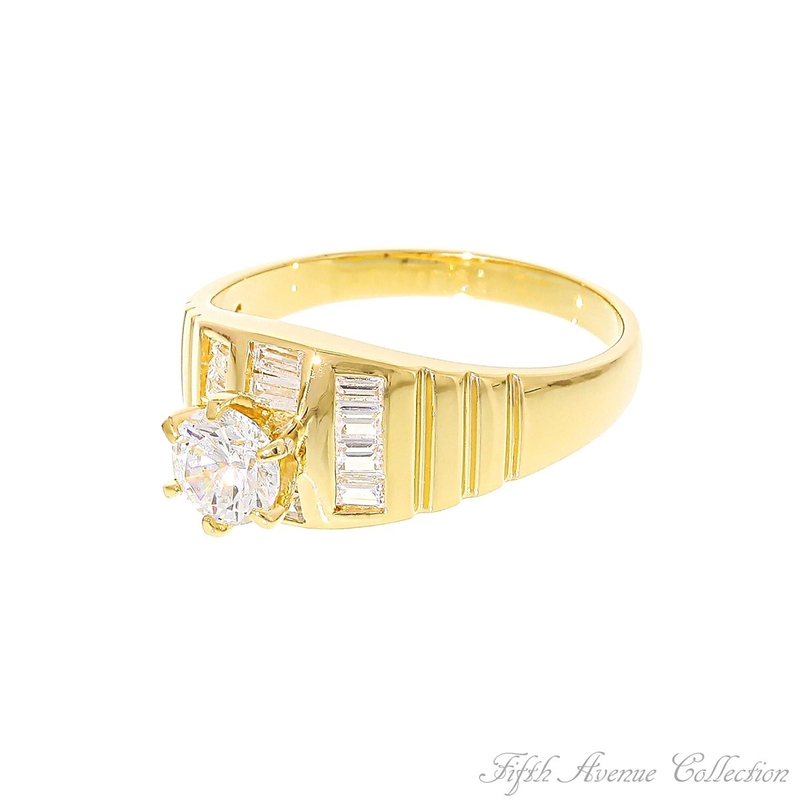 This gorgeous ring is finished in gleaming gold or rich rhodium. Lead and nickel free. 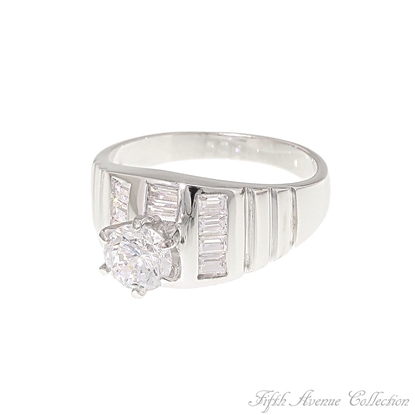 A fiery AAA cubic zirconia is the “Center of Attention” in this stunning sterling silver ring. The brilliant stone placed in a durable claw setting sparkles on a wide chiseled band encrusted with glittering baguettes. This gorgeous ring is finished in gleaming gold or rich rhodium. A fiery AAA cubic zirconia is the “Center of Attention” in this stunning sterling silver ring. The brilliant stone placed in a durable claw setting sparkles on a wide chiseled band encrusted with glittering baguettes. 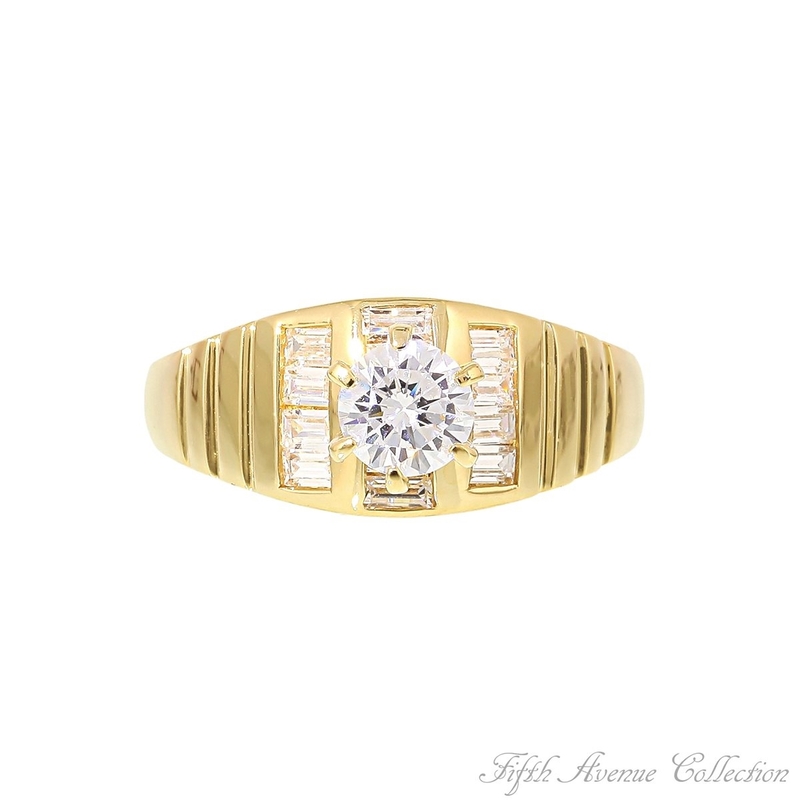 This gorgeous ring is finished in gleaming gold or rich rhodium.Lead and nickel free.